The 17th Annual Tribeca Film Festival is off to a successful start with tonight’s opening night programs. 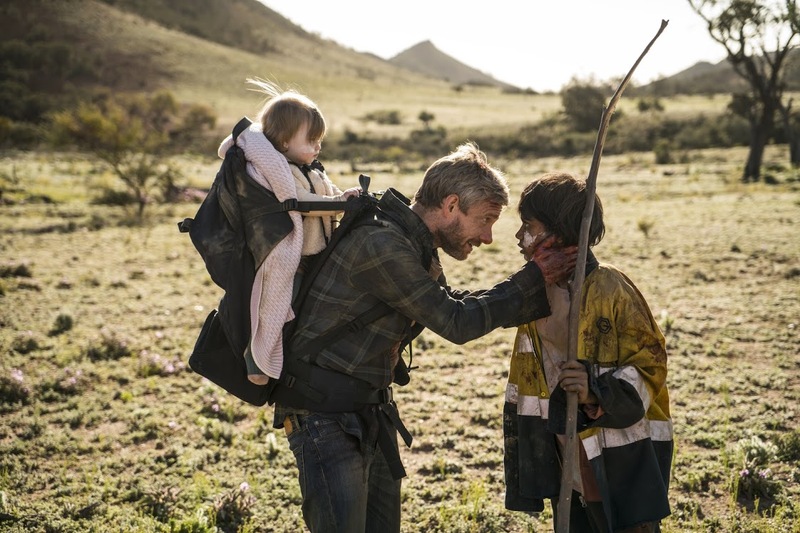 Along with competitive and spotlight programs, the popular Midnight slate begins with writer/director Yolanda Ramke’s Cargo. Co-directed with Ben Howling, the film is a new take on the zombie-horror genre based on their well-received short film of the same name. 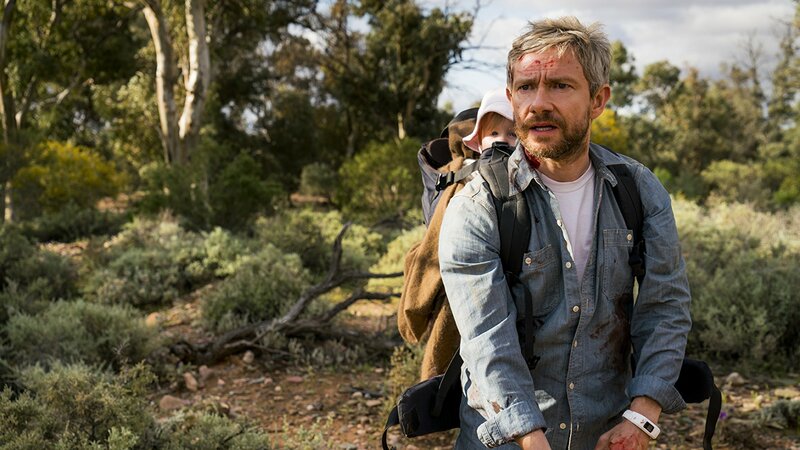 Like the short, the film tells the story of a father (Martin Freeman) of an infant daughter desperate to get her to safety before transforming into a zombie capable to hurting her. But Ramke adds a new story thread with the character or Thoomi (newcomer Simone Landers), an indigenous child trying to make her way back to her Aboriginal community. Already set to premiere this May on Netflix, Yolanda and producer Kristina Ceyton (The Babadook) discuss bringing their Australian horror to audiences. Lesley Coffin: How did the film evolve from a short film to feature length? Yolanda Ramke: It was a lengthy process because the short’s only seven minutes long, so you can’t just stretch the premise out. You need to add layers and characters to the script. What was great about the short however was, we had an awareness from the short film what aspects really landed with people and connected with the audiences? And the thing people really latched onto was the father-daughter platonic love story. And then we started thinking how we could make this a uniquely Australian story and bring something to the genre people might not have seen before. And then that way of thinking led us to this indigenous aspect of the story, and the split in the story to tell these two parallel stories evolved quite naturally. Lesley Coffin: What was your first impressions of the short film? Kristina Ceyton: I love elevated genre, especially after making The Babadook. And I thought the short was a beautifully executed short film. And I knew it had been very successful online. But it wasn’t until I read the first draft of the script that I saw the potential for a great feature. I completely fell in love with it, I found it very moving. I think it’s an unexpected film and those parallel storylines Yolanda described feel completely organic. The story of a father having to let go of his daughter to save her, and this girl having to let go of her father to save herself play off each other so perfectly. It brings out these deeper themes of sacrifice and what you would do to save someone you love and to save your community, those concepts really connect with an audience in a profound way. Lesley Coffin: You describe it as an elevated horror film and I think that’s a good description because the film’s clearly using horror conventions for social commentary, and together they enhance the viewer’s experience. How do you find that balance between horror conventions and social commentary? Yolanda Ramke: That is the tightrope we knew we’d be walking across from the very beginning. I think a big part of it was the ambition we had that some audiences that might not see a film because they don’t gravitate towards the genre would give it a try and take a chance. The scares have to come from the story and the characters, so the tension should be coming from the internal torture Martin’s experiencing during that transformation. Lesley Coffin: And that focus is really noticeable with the decision to have one of the living be far more threatening to the characters than the zombies. At what point in the short to feature evolution did you create that third point in the story? Yolanda Ramke: Once we’d decided to develop it into a feature film we knew we would need some kind of antagonistic presence. But it felt more frightening to think of how horrible humanity could become when there is this external threat. We were aiming to make him more complicated so he can’t be defined as an out and out villain. His ideas of how to survive are backwards and misguided and he’s this kind of symbol of a person clinging to really horrible, outdated ideas. Kristina Ceyton: And we wanted him to be in direct contrast to how Martin’s character views survival. When there’s no hope for a cure, it’s right that the land should go back to the rightful owners, the aboriginal people. We see people going back to the old ways and living off the land as a community. He’s clinging to possessions, which have no value, because he’s clinging to this hope that things will go back to the way they were. Lesley Coffin: The movie’s statement about the rights of indigenous people, the idea of giving land back, is a pretty strong social comment to make in a film. How did the Aboriginal actors you employed react to what the film was saying? Kristina Ceyton: I think they find the film empowering. The feedback people gave was they found it refreshing to see a film that states the Aboriginal people were on the right side of this fight. They will be the ones to survive. Yolanda Ramke: And I think they really appreciated that we’d written real characters, not just stereotypes. We were very conscious of that white savior concept and wanted to avoid it. Lesley Coffin: The little girl you cast is wonderful, she has a great screen presence and your heart just breaks for her. How did you cast that role? Yolanda Ramke: Casting was a tricky process and our casting director spent a long time going across the country to find the perfect Thoomi. We finally found four girls that we brought in to workshop some scenes. And Simone was the stand out from day one. She has this soulfulness and is so watchable, even when I filmed her on a little handheld camera. But she was a first timer, so we brought in an acting coach to work with her while we were in pre-production. Kristina Ceyton: And then we had the great Martin Freedman, and he took her under his wing. And that bond was very real because of how much time they spent together. He’s such a generous actor, he also developed a very close relationship with the baby. So the three of them were very close, and then with Yolanda and Ben on set, it was a like a little family on set. Lesley Coffin: You mention wanting to make a film that felt distinctly Australian. What aspects of Australian cinema do you feel are unique in this film compared to say Hollywood horror films? Yolanda Ramke: I think I should be asking an outsider like you. But I think the way we use the landscape of the outback is very unique. The sun can kill you, the desert can kill you and everything that lives there can kill you. I love that line in Alien “in space, no one can hear you scream.” Well, no one can hear you scream in the outback. I think the land and how isolated people can be. Lesley Coffin: I completely agree about the isolation. I think we’re so used to horror films that are shadowy and feel claustrophobic, but this film has a huge scope and is sundrenched. But what led to the decision to cast an English actor in the lead? Yolanda Ramke: Well, Martin’s a great actor first and foremost. He has a relatability which would help anchor this supernatural story. But there’s also this sad history of British colonialism which is such a sad, dark part of our Australian past. So the idea of this Englishman coming into our country and going into the outback, would result in a mistrust by the people, even if he weren’t infected. We were interested in exploring this other thematic element, and casting Martin allowed us to do that. Lesley Coffin: As a producer, you’ve worked with a lot of directors making their first feature films. Do you find yourself seeking these new voices out or has it largely been coincidental? Kristina Ceyton: It’s a real combination of both. As a company, we are looking to discover new talent all the time, we want to make films which tell original stories and you need new voices to tell them. And there is a huge breadth of talent in Australia we want to give opportunities to. But first and foremost it’s about falling in love with the story. You don’t have to be first timer, it’s much harder if you are. But Yolanda and Ben are unified and passionate, and both have a total understanding of the genre, so being a first time director wasn’t a deterrent when it came to making this film. And they have this incredible eye, they know the genre but make movies which are also elegant and beautiful to watch. Lesley Coffin: What are some of the films in the genre which inspired you? Yolanda Ramke: On this film, it was more sci-fi than horror. My favorite horror film is actually Shawn of the Dead but I don’t know if I was inspired on this film by that one. But Children of Men was a huge one for us. District 9 was an inspiration because of the way that film makes social commentary in a really clever way. Kristina Ceyton: We talked about 28 Days Later a lot. Lesley Coffin: One of the ideas in the film I wanted to ask you about was the notion of infected people having kits and armbands with the countdown clock. I’ve never seen that in a movie like this and yet, it seems completely logical. How did you think of that idea? Yolanda Ramke: We liked the idea that the audience was being dropped into a world that was post-apocalyptic, and post panic. People have been living this way for a while, and the government’s had time to come up with this ridiculous ideas. But then they just leave people to take care of things themselves. Okay, take your kits, we can’t do anything to help you if you get infected. Lesley Coffin: And I love that characters aren’t trying to pass as uninfected. They’ve seen what happens and they know what they could do to their loved ones if they don’t take precautions. Yolanda Ramke: I think Ben and I thought that they’d had time to plan and had conversations about what they’d do if one of them got infected. And this was also a way to have the ticking clock device without it having to be on screen. Kristina Ceyton: We literally put it right on the character. Lesley Coffin: I had the chance to watch it on the big screen, as will festival goers. But most people will watch on Netflix. Are there aspects of the film you look forward to festival goers seeing that they might miss or have to look closer for when they watch at home? Yolanda Ramke: We were lucky to make this film knowing that Netflix would be the distributor. So we knew most audiences would be watching in their homes and made it for those audiences. During post-production, we were careful to make sure the sound-design would work for those audiences. But in terms of the larger screen, I think the cinematography can be fully appreciated on the large screen. We have all these drone shots which show how vast the landscape is, and how alone Martin is, and the large screen really showcases that aspect. Kristina Ceyton: I think the fact that Netflix shows films at festivals allows directors to have their cake and eat it too. They get to experience the film in a theater, with an audience, but more audiences have a chance to see it as well.